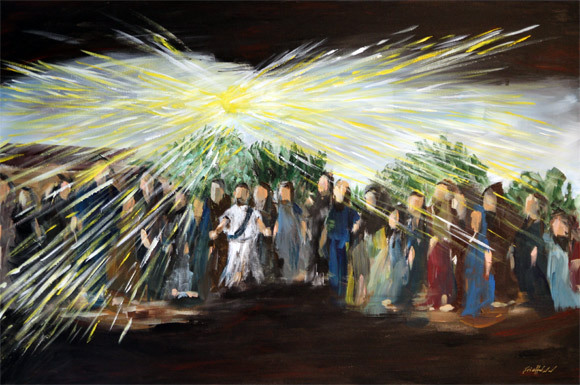 Painted during worship service. 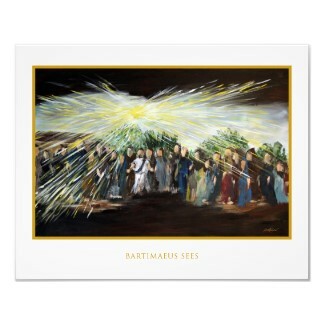 This depicts the moment that Bartimaeus receives sight for the first time, and sees Jesus with a crowd around Him. Bartimaeus is squinting because it’s bright. Perhaps its the sun, or perhaps he sees the glory of God shining upon the Son who just performed the miracle. 20″ x 16″ print on standard poster paper. Upgraded archival heavyweight matte paper and framing options are also available on the order page.